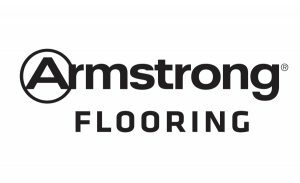 LANCASTER, PA. October 29, 2018 – Armstrong Flooring has pledged to donate 400,000 square feet of flooring to support rebuilding efforts that are taking place in the U.S. for Hurricane Florence, Hurricane Michael and other natural disasters. 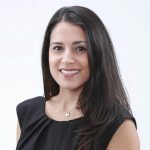 The company will contribute flooring through its partnership with Good360, a nonprofit that matches product donations with community organizations, many of which are engaged in disaster recovery in local communities. 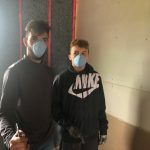 The flooring donated through Good360 will be provided to nonprofit organizations, including those helping with rebuilding efforts after disasters. 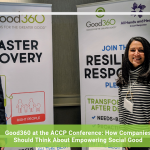 Good360 provides products for all stages of disaster recovery and works with its on-the-ground nonprofit partners to assess needs and respond accordingly. Armstrong Flooring, Inc. (NYSE: AFI) is a global leader in the design and manufacture of innovative flooring solutions that inspire spaces where people live, work, learn, heal and playSM. 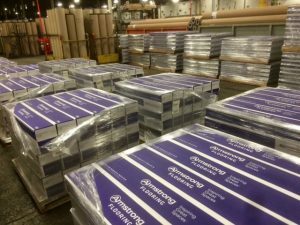 Headquartered in Lancaster, Pa., Armstrong Flooring is the #1 manufacturer of resilient and wood flooring products across North America. The company safely and responsibly operates 15 manufacturing facilities in three countries and employs approximately 3,500 individuals, all working together to provide the highest levels of service, quality and innovation to ensure it remains as strong and vital as its 150-year heritage. Learn more at www.armstrongflooring.com. 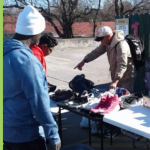 Good360’s mission is to transform lives by providing hope, dignity, and a sense of renewed possibility to individuals, families, and communities impacted by disasters or other challenging life circumstances who, without us, would struggle to find that hope. As the global leader in product philanthropy and purposeful giving, we partner with socially responsible companies to source highly needed goods and distribute them through our network of diverse nonprofits that support people in need. Good360 has distributed more than $9 billion in donated goods around the world, helping its network of more than 57,000 prequalified nonprofits strengthen communities and improve the lives of millions. 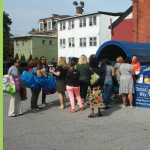 Good360 is proud to partner with corporate donors such as Walmart, UPS, CVS Health Foundation, IKEA, Sears, Home Depot, Grainger, 3M, Mattel, Crayola, Gap, Inc., ANN INC., Williams-Sonoma, and Hilton. Good360 is a registered 501(c)(3) organization. 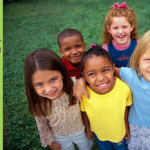 Learn more at https://www.good360.org.